Ed Chapman is a top British mosaic artist with an instantly recognisable style. His work needs to be seen to be believed. The mosaics contain extremely fine detail, achieved through Ed's painstaking effort creating his subjects using hundreds of fragments of ceramic and stone tile, vitreous glass, torn paper or even sugar cubes. Ed creates intricate photo-realist ceramic portraits, often forcing the viewer to question if his mosaics are, in fact paintings. Each work comprises many ceramic tile pieces, all cut and fastened by hand, and impressively finished. His mosaic work is bought by private clients and international organisations alike and his mosaics featured widely on TV and in magazines worldwide. Ed Chapman is available for private portrait commission, and can create personal mosaic portraits from life or photography. 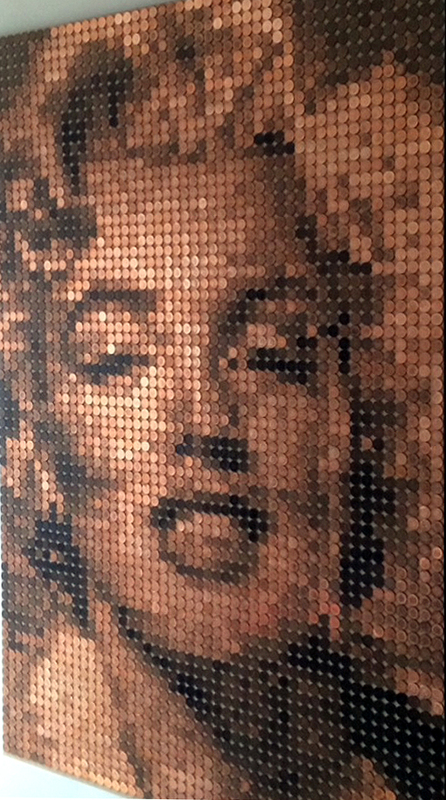 Ed's work has appreciated in value significantly and he has gained widespread respect as a mosaic artist throughout the art world. He has exhibited throughout the UK and across Europe and the USA. 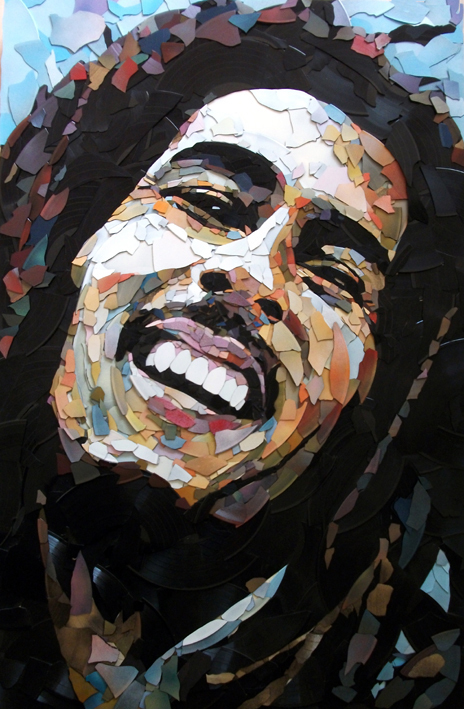 Influenced by artists like Chuck Close, Robert Rauschenberg, and Jamie Reid, Ed also finds inspiration for his mosaic works in the music and TV, as well as in everyday articles such as magazines. If you would like to talk to Ed about an art commission or have any questions or proposals about his mosaic art work please get in touch via the contact page.